I live in central Brixton. On my road boxes of fliers are often abandoned by flier delivery companies. In the lobby of my flat they throw heaps of junk mail no one wants. 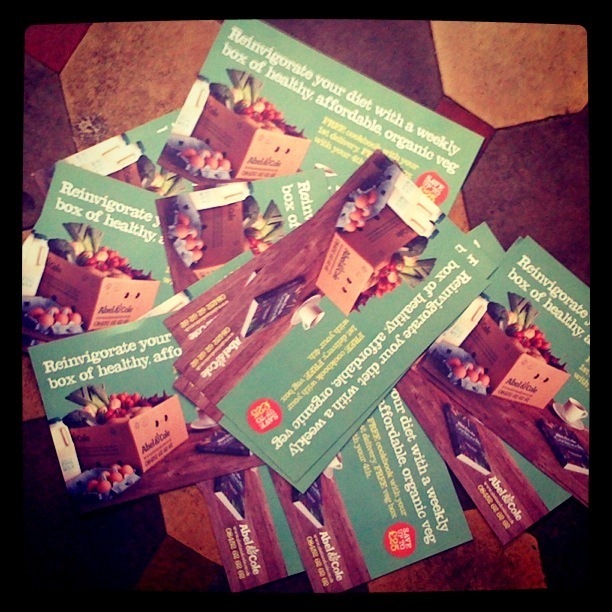 Today, even my supposedly ethical vegetable box delivery company, Abel & Cole, dumped 18 fliers in the door way of my building – despite the fact that there are only 8 flats. 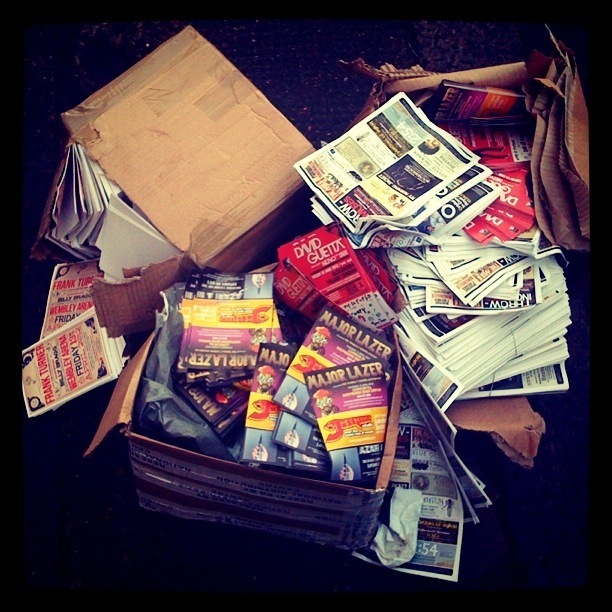 All this advertising goes straight from the mess it makes on our street and in our hallway into the trash. This blog post will document the waste that we are subjected to by the tireless marketing companies (I will add pictures). Anyone familiar with my writing will know that I am writing about this trash because it is symbolic of how capitalism turns natural resources into trash – in this case even by-passing a consumer. This is an mundane post about the tragic modern phenomenon of a culture that makes trash no body wants.